Welcome to the April 2016 Mystery Chocolate Box! This bar was made by one of the top bean-to-bar chocolate makers in the United States, so we were super excited about being able to include one of their tastiest bars in this Mystery Chocolate Box. Not only that, but this bar is made with a key difference versus most other chocolate bars: the cacao beans are unroasted, which gives the chocolate a slightly different flavor (chocolate making is a very complex process with many variables, each of which can totally change the outcome of the chocolate). Anyway, what was bar A? We said in your monthly letter that they are a very green chocolate maker, in more ways than one, so the tree-huggery doesn’t stop there. They also donate their cacao husks to be used as fertilizer at a children’s gardening program — a very nice touch. There’s no doubt that these guys are making a positive difference. 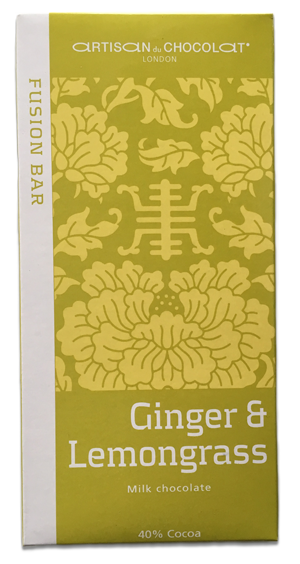 Speaking of chocolate makers that we enjoy, this bar was made by another of our favorites. It’s a milk chocolate bar, but it has flavors that we hadn’t yet tasted in milk chocolate….or dark chocolate, for that matter. So when we saw this bar, we knew we had to try it. Try it we did…and we loved it! Now, about Artisan Du Chocolat. Like we mentioned above, they have this habit of cycling through their chocolate bars fairly often, which means the bars that they offer now might not be available next year (or 3 months from now, for that matter). So we’re glad we were able to jump on this bar and include it for you this month…and we hope you are glad too! Now, we’ve arrived at the final bar in this Mystery Chocolate Box. Our second milk chocolate bar of the bunch (normally we include two dark chocolate bars and one milk chocolate), we were secretly hoping this bar tasted like those chocolatey treats you can whip up in a couple minutes at home. 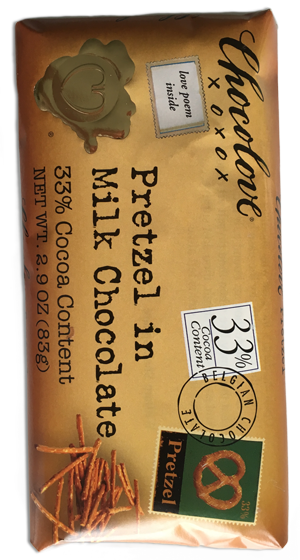 Why are chocolate covered pretzels so common, but chocolate bars with pretzels are not common (this is the first one we’ve ever heard of)? Kind of makes you think, doesn’t it? Well anyway, we’re glad Chocolove made this bar and we hope you are too! No Replies to "April 2016"